Australian karting will enter a new era of Club-level Racing in 2018 with the introduction of the 4 Stroke Sprint (4SS) Class into Junior and Senior Karting Australia competition. The introduction of 4SS to Australian circuits will provide the sport with an entry price point that is significantly lower than is currently available. 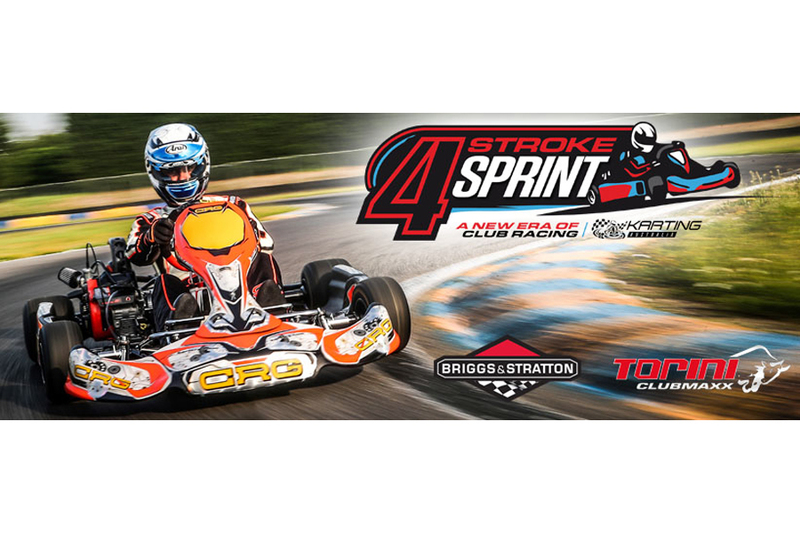 Using the US built Briggs & Stratton 206 and locally built Torini Clubmaxx 210 engines, 4SS will see a karting Class specifically designed for the entry-level racer. It has been configured to fill the void between hire karting and pure racing karts. Using factory sealed engines on chassis fitted with hard compound tyres, the kart requires very little maintenance. Competitors can literally use it on a Sunday, put it in the garage, and use it again a couple of weeks later without encountering problems or the need for maintenance. While several chassis manufacturers already have specific four-stroke chassis on the market, both the Briggs and Stratton and Torini engines can also be fitted to the majority of second-hand sprint kart chassis. “I see 4SS as a significant step forward for the entry-level of karting in this Country,” said Karting Australia Chairman Mick Doohan. “A low-cost, low-maintenance formula is what is required at grassroots level and the implementation of 4SS provides just that. “There’s little doubt in my mind that this is the ‘introductory’ Class that the Australian karting community has needed for many years. It is the necessary piece of the karting pyramid to expand the base of our sport. The factory sealing of the short block engines (that are cheaper to replace than to rebuild) in both the both the Briggs and Stratton and Torini engines was a key determining factor in the decision to introduce the 4SS Class ensuring that they are both cheap and simple to use and maintain. Ian Black of International Karting Distributors, Australian importer of the Briggs & Stratton 206 engines, echoed Doohan’s thoughts. “For several years Australian karting has needed a true ‘entry-level’ class at an economical price point – the new 4SS Class now fills that void,” said Black. “A four-stroke engine is low maintenance and low cost while being very simple to use, all of the major components are factory sealed. So it’s just a case of bolting the engine on and going racing. 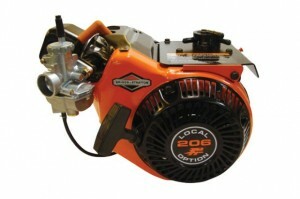 While the Briggs & Stratton 206 has been used on tracks across America, Canada and New Zealand for several years, the Torini Clubmaxx 210 has been designed by Austech Industries here in Australia. 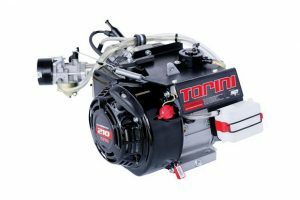 With the Torini engines having been used in endurance kart races, Austech Industries Managing Director Kevin Davis is excited about the potential for the 4SS Class. “Through our experience with Endurance karting we have seen the potential of a low-cost, economical engine to get people excited about the sport. I firmly believe the introduction of these engines into sprint racing will provide karting in Australia with a strong injection,” said Davis. “We have spent two years developing the Clubmaxx 210 engine while racing in the tough environment of Endurance karting. This ensures we can deliver an engine with the perfect blend of performance and reliability at a cost that provides exceptional value for the competitor. Both Davis and Black have confirmed that they will be putting in place significant marketing and promotional programs to kick start 4SS racing. A full list of specifications for both engines can be found below with pricing structure and availability to be provided by the manufacturers and importers shortly. Details of the tyres to be used in 4SS are currently being finalised and will be released shortly. A draft version of the 2018 Karting Australia National Competition Rules, including the 4SS Rules, will be released on Monday November 20.